Built in 1996 this delightful self catering holiday cottage in Broad Haven, Pembrokeshire, is situated in a small, quiet development with safe, secure rear garden and off road parking for two cars. It is the ideal base from which to explore the stunning National Coastal Path and neighbouring villages of Solva, Dale, Porthgain and the City of St Davids. 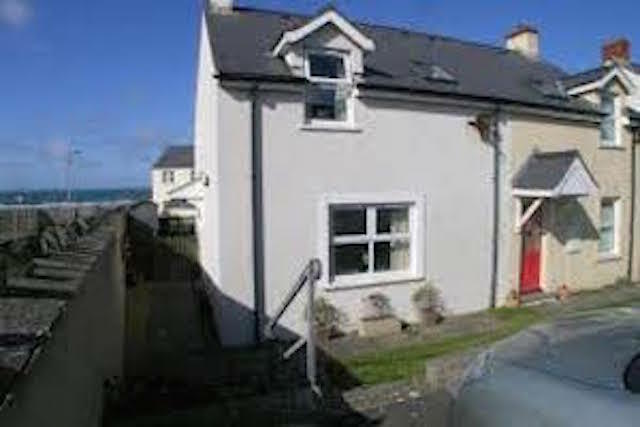 This cottage has lovely sea views and is situated literally just 30 seconds from the beach. Conservatory: 2 Seater wicker sofa and 2 single chairs in which to relax and enjoy the sea views. Lounge: Is comfortable with two sofas, Freesat TV, DVD, selection of CD's available in TV unit and the local Londis offer a DVD rental service too. Bedroom 2 with King size bed, fitted wardrobe and plenty of drawer space. Bedroom 2 with Double bed, fitted wardrobe and plenty of drawer space. Bedroom 3 with Bunk beds and drawer space. Heating: The cottage is heated by easy to use economy 7 storage heaters. 2 extra oil filled radiators are supplied if required. Thanks, Karen, we really loved Just Beachy which was very well equipped and in a wonderful position. We would be happy to return and thank you for sorting out the extra radiators so promptly. Thanks, we had a great stay. The house was really nicely presented, clean, warm and welcoming. Lovely location right next to the beach and amenities too. We’ll definitely be booking again! The house was very clean and well equipped for the five of us. The bed in the room next to the bathroom had quite an uncomfortable mattress. The other double was much better. The bathroom would have benefitted from a heated towel rail, the weather was not so good for drying clothes outside! The number of books especially the children was very much appreciated by the 7 and 6-year-olds and also the trainset. All in all a lovely house within easy walking distance of the beach. Just Beachy is in fab location 100m from the beach. Equipped to a very good standard. We thoroughly enjoyed our stay and it was sunny the whole time! We would not hesitate to return. We had a wonderful time, Broad Haven is lovely and the weather was so kind to us especially for enjoying Skomer Island and beautiful beaches all around. We all had a brilliant holiday from 14years to 83 years and various in between, and the cottages location was fantastic, just by the beach. Both cottages were well equipped and it worked very well being opposite each other and plenty of room for everyone. We had a lovely few days thanks - great family house in a great location couldn't fault it. We found the house very comfortable and perfect for our needs. It is well equipped and close to the beach. As you know, the weather was generally good with just one particularly wet day. We naturally enjoyed the beach, walking the coastal path and horse riding at Druidstone beach with Nolton stables. We look forward to returning. Another lovely stay at Just Beachy! Such a comfortable house, the kitchen is thoughtfully kitted out with everything we needed and the location is just perfect, being so close to the beach. I recently spent my holidays in broadhaven, something I have done for the past ten years. I regularly book with stayininthehavens as I know the homes I will be staying in are always fantastic. Each year I have tried different houses and all have been of the great standard. If anything arose Karen and her team are always at hand. I don't need to tell you how fantastic Pembrokeshire is the proof is in the amount of times I return. A very very happy holiday maker. Really enjoyed our stay at Just Beachy. We had everything we needed and enjoyed having the conservatory on the sea & sunny side of the house. Many thanks for arranging the stay at `Just beachy`. It was a marvelous holiday location with all the comforts of home, so well equipped and also close to a shop that provides almost everything. We shall certainly look forward to coming back next year. We had a fantastic week, thank you. As always, the booking arrangements, preparation of the cottage and immediate response to our queries were perfect. We are delighted to recommend Karen and her team at Stay in the Havens and we will certainly be returning to Broad Haven again! We had a lovely week in Broad Haven and will be back next year. We loved the cottage, it was very well equipped and perfect for our needs. Broadhaven is an excellent base to explore this wonderful area and is brilliant if you want a lazy day on the beach. Lovely walks over the beach to Little Haven and lunch in The Swan. Another lovely break and a really high-quality home. Thanks. Felt like home but with lots to do. Even the dog loves this place as much as we do. Beautiful Wales. Hung out together on the beach, had a very relaxing time. We loved the house, were very comfortable and its all set up perfectly. Thank you! !